Nearly all the people love beauty, it's not only means dress well, also means decorative our nearby beautiful. Here the pictures are flower bottles were taken photoes from a park. You may don't think it's special, actually, it's consisted by so many flowers, it's nearly 2 meters height, is very big comparing with our home decorative flower bottles. It's very pleasing when you meet the real face. 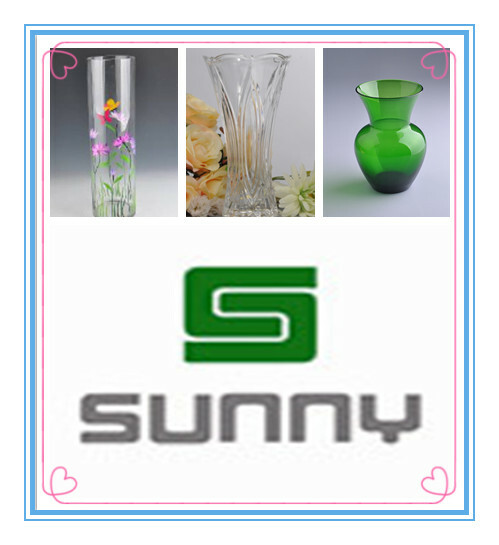 Of course, we can't put the huge flower bottles in our home, so we Sunny Glassware put many small sizes and styles glass bottles for your selection. Kindly noted the sizes from 200ml to 2000ml available. The shapes from round, square, regular, irregular, mutil-angle etc. are accepted.